"Bubble me not" wall paneling system reveals depth without three dimensionality, thus preserving space in a small bedroom while conveying 'thick beauty' and precision. 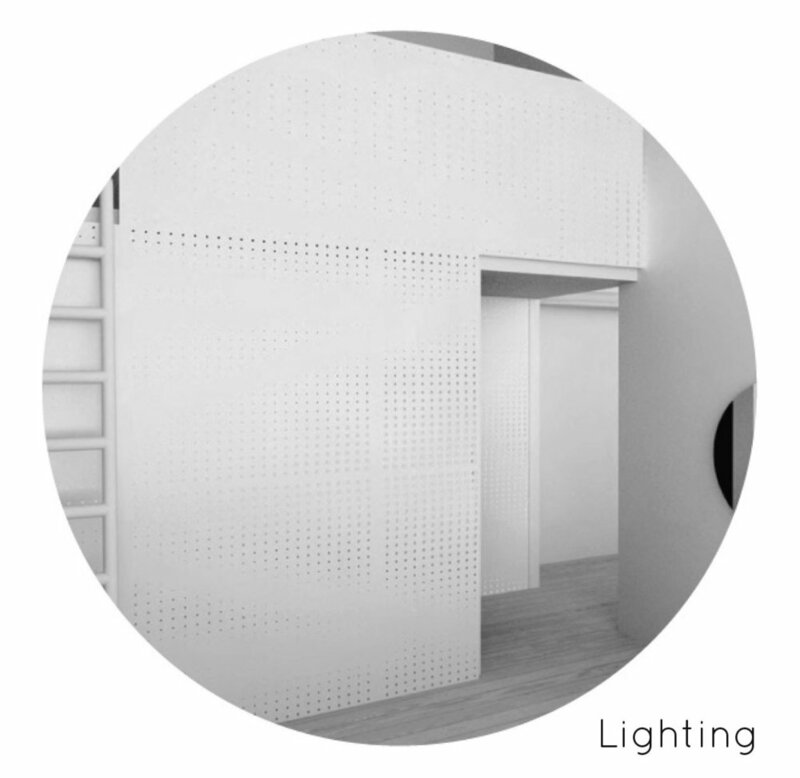 The perforated panels become a guard-rail for the petit mezzanine above. This system is both decorative and flexible, it allows for partitioning of space with some transparency in between adjacent 'sub-rooms'. There is a second layer of pattern variation that is only perceptual, its generated by the intensity in backlighting. The system was calibrated to cut out panel perforations using minimal CNC router bit changes, thus achieving great variation in perforation sizes with an economy in overall cutting time. Both panels and substructure arrive to the site flat packed and get mechanically installed in a few simple steps.